Buddha is recognized as an enlightened or divine teacher who attained full Buddhahood, and shared his insights to help sentient beings end rebirth and suffering. Sounds like he would probably have used a record collection to help spread those good vibes… if they had records all those centuries ago! Music is an escape from the pain and suffering that we encounter every day in our own lives. Music speaks to the heart and the soul. Music is emotion in action. Sometimes, we need to shut everything out, spin our favorite records and just chill with our favorite Vinyl Styl™ turntable. Thankfully, we have one that Buddha would approve of! Which means you rock. And you roll. And you are groovy. And you swing. And you’ve got soul. And… To be honest, we can go on and on with these puns! However, the most important thing is that you’ve got good taste! 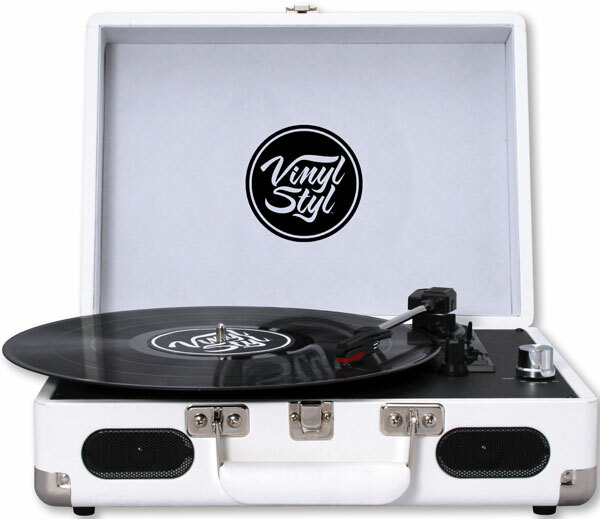 And there’s no better way to show that than with the Listen turntable from Vinyl Styl™! 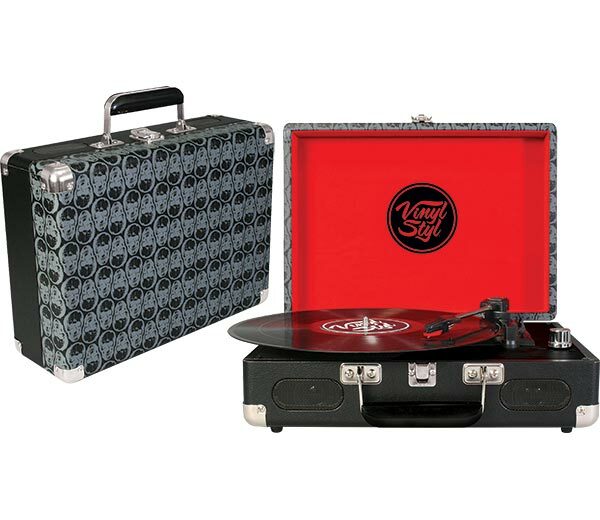 As always, Vinyl Styl™ continues to offer you a great variety of turntable colors and designs to choose from. This beauty makes a statement about you even before you put the needle on the record… which means that you are a well-rounded individual! Oh dear, there we go with the puns again! We here at Vinyl Styl™ know the importance of your relationship with your records. 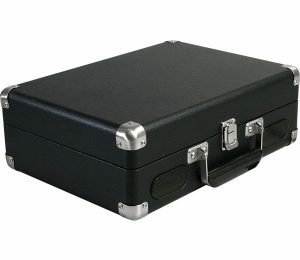 This is why we recommend our Vinyl Styl™ Groove Portable turntable adorned with a beautiful leaf design. Trust us – this turntable is NOT a drag! 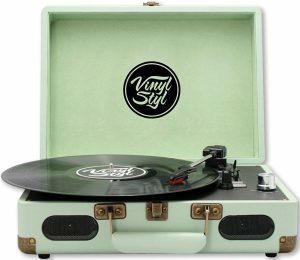 We here at Vinyl Styl™ would like to introduce you to our Mint-colored Groove portable 3-speed belt driven suitcase turntable! Yes, this beauty is truly a breath of fresh air. As visually soothing as it is dependable, Vinyl Styl™ continues to offer you a great variety of turntable colors and designs to choose from!